Enjoyable sci-fi homage about aliens hiding out in small-town America. Goofy effects make it all the better. “Strange Invaders” sees lecturer Charles Bigelow (Paul Le Mat) go to the small town of Centerville, Illinois in the US to find his ex-Mrs, who has not been seen there after visiting for her mother’s funeral. In fact, no one has ever been seen there since 1957. No people, that is. Because Centreville was taken over by aliens hiding in human form and the townspeople vanished away. Bigelow investigates, his dog goes missing, the locals attack him, and by the time he escapes and tries to tell his tale of aliens up-to-no good, no one believe him. Not even tabloid reporter Betty Walker (Nancy Allen) initially despite running a photo and story about the ETs. That changes when they come to the big city to clear up the evidence of their presence, and Walker and Bigelow determine to get the truth. For those of us of a certain age however, “Strange Invaders” has the same low level charm (and budget) of, say, “House” (1986). It’s lightweight froth told with affection for its genre. Co-written by future Oscar-winner Bill Condon, “Invaders” was the second part of a planned trilogy by director Michael Laughlin (following on from 1981’s “Strange Behaviour”. Alas, it didn’t perform as planned so that was that. “Strange Invaders” is a comfy film, it’s the best way to describe it, and once you are settled in, you are happy to forgive the dodgy acting and awkward dialogue. Alien effects are well done – lots of skin being torn to reveal non-human features beneath – while visual effects such as lasers have that cheapo Battlestar Galactica look you’d expect. 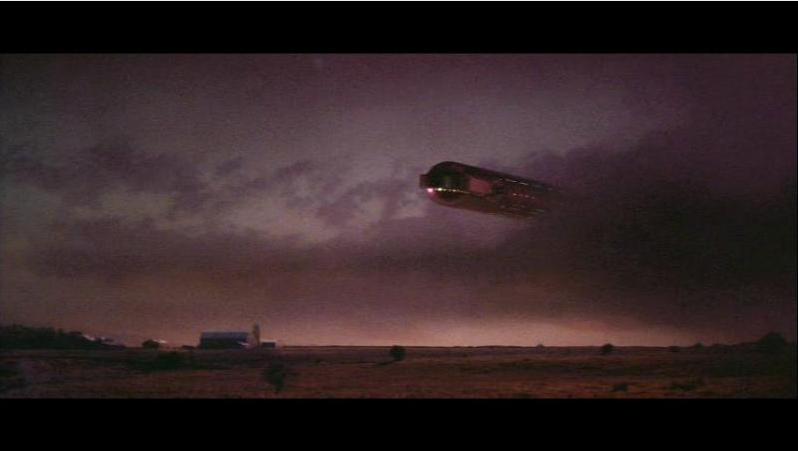 Elsewhere, there are some really lovely mothership models deployed, with coloured skies and absorbing clouds. It all mixes together very well, providing a satisfying 94 minutes. Once-banned video nasty with Oscar-winner Holly Hunter and George from Seinfeld. 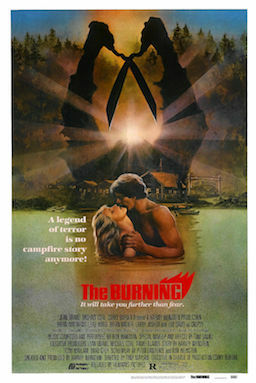 Surprisingly not buried by its makers – current Paramount CEO Brad Grey and Miramax’s Weinstein Brothers, among others – The Burning is a standard US early 80s gore-a-thon that, like most US early 80s gore-a-thons, isn’t that gory. Made the “video nasty” list in the UK, it’s now available uncut – and unexciting. 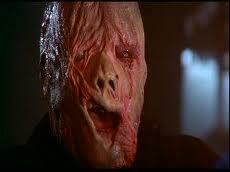 Kids at a summer camp accidentally immolate weirdo caretaker Cropsy, leaving him looking like pizza. Five years later, Cropsy leaves hospital with mayhem on his mind and heads back to camp, after setting the scene of what’s to come by sticking scissors into a prostitute who failed to notice his charred, melted features. At camp, we see the usual collection of irritants who don’t die quickly enough at Cropsy’s hands, or garden shears in this case, which are his preferred MO. Among the kids you want to see massacred are Jason Alexander a long time, a lot of hair, and quite few inches off the waist before he was George Costanza in Seinfeld; and a barely recognisable Holly Hunter. Cropsy? Cropsy! I think I’m going to kill you! The film then sets up a series of faux scares where we think an innocent is going to get it only for it to be revealed as a prank or some other non-entity trying to scare all and sundry. There’s a little T&A here and there, lots of Cropsy POV shots in the woods at night, but the whole film never really gets going. Even when the kids get stranded without their canoes, there’s ample opportunity to pick-off victims one by one that’s not exploited. 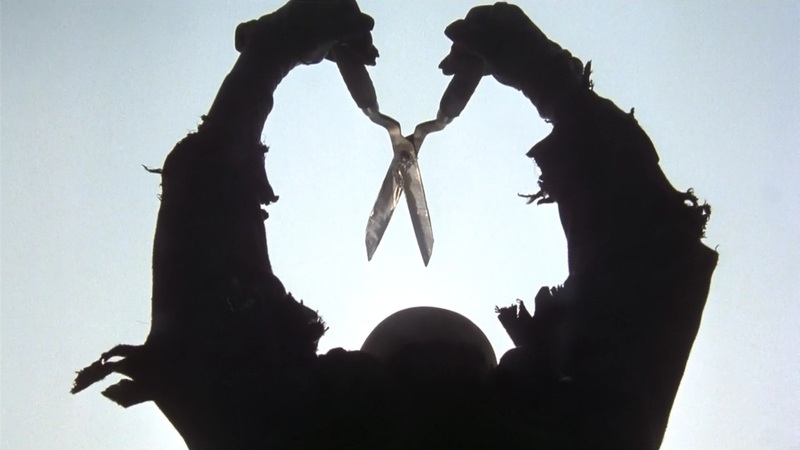 When you compare this fodder to what the likes of Mario Bava was doing years before, it is a real disappointment. A supposedly notorious raft massacre scene that helped contribute to the film’s UK ban is particularly dull. Rick Wakeman’s sub-Carpenter electronic score grates; Tom Savini‘s make-up uninspired, while British director Tony Maylam manages one or two stylish moments. The Burning is a distinctly – here it comes – tepid affair otherwise.